A Forrester report suggested that more than 90% businesses offer Office to their employees. This stat alone captures the essence of the kind of stronghold that MS Office has in terms of enterprise document management and productivity software. Among all Office sub-products, MS Word and MS Excel, without a doubt, are applications that most office employees use at least once a day. These applications have become the mainstays of how ‘text’ and ‘table’ formats of data are essentially interacted with, by end users. MS Word, specifically, is a pillar of office productivity. So, almost everyone who’s anybody thinks he/she knows MS Word. Maybe you are, but maybe you’re not. That’s because Microsoft keeps on adding more features to its Word application, and not many users realize how much value these lesser known features can add. Microsoft has recently acquired a startup called Intentional Software, to ramp up its abilities around automation and simplifying programming for collaborative Office 365 products. 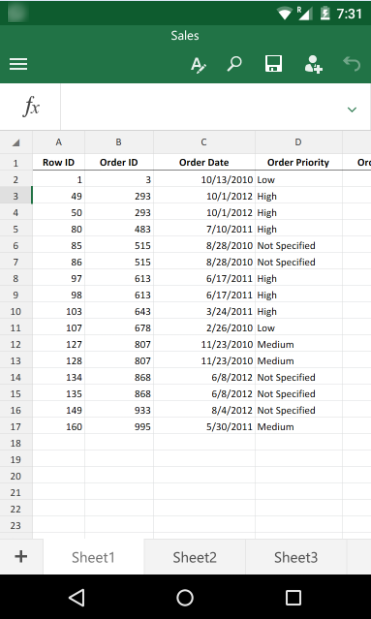 Emails, reports, proposals, and letters – you name it, and there’s MS Word involved. It’s surprising how even the busiest and smartest IT managers don’t do the effort of understanding lesser known Word features to get the most out of the software. 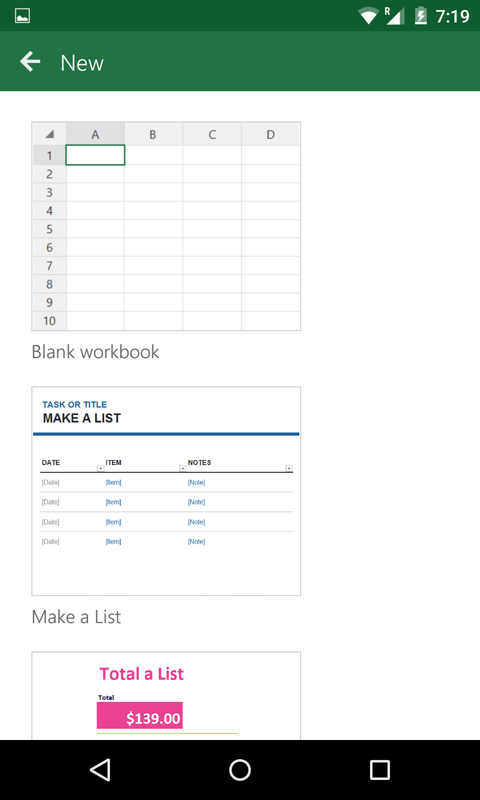 With this guide, there’s no looking back; here are some super cool productivity hacks for MS Word. Stuck with a product manual with 100+ screenshots, and tasked with creating a new guide, re-using the old pictures? How do you copy and paste so many images separately without losing a lot of valuable time? Here’s a trick. Use the Save As the option to save the Word document. Select Web Page as the target format. Once you save it, Word creates a .html file, along with a folder that contains all the embedded images. Now, all you need is to go to this folder, and you have your images waiting for you. For IT manager who needs to go through long reports, and is tasked with creating executive summaries, MS Word’s Clipboard feature is a godsend. Using this feature, you can quickly review the last 24 selections of text and images you copied from the document! All you need to do is to go to the Home tab, look for the Clipboard button, and click on it. This saves you vital time as you can visit the Clipboard anytime to take a quick look at whatever you selected and copied. This, for obvious reasons, proves invaluable particularly when you are trying to mark important content sections, to review them or collate them later. For IT managers hard pressed for deadlines, and those working closely with other managers and executives to prepare proposals and review documents, co-authoring is a tremendous productivity hack. This is the equivalent of co-authors sitting next to each other and working on the same content. 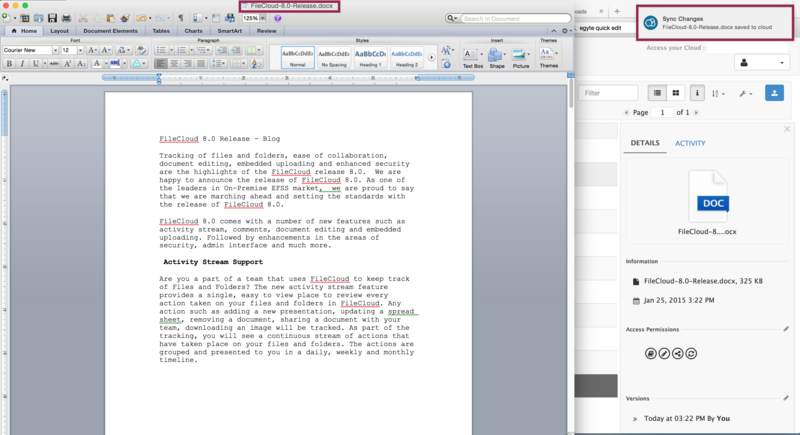 Co-authoring enables users to see everyone’s changes as they happen in the document, facilitating super quick feedback. MS Office support guides explain co-authoring as a 3-step process. 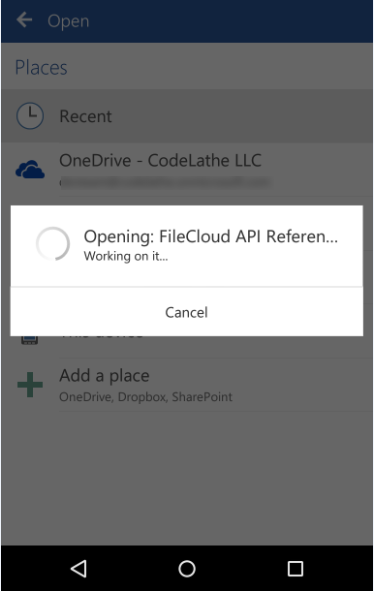 Save your document to SharePoint Online, or OneDrive. Send out invites to people to edit the document along with you. 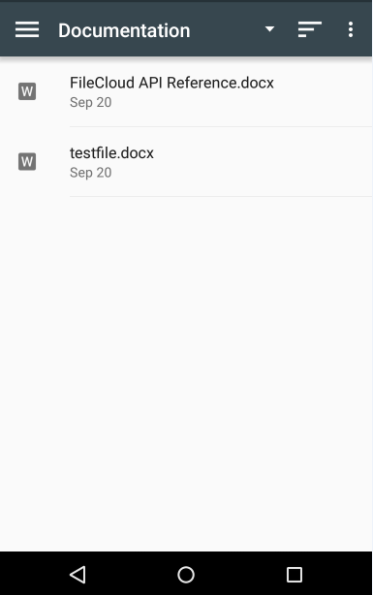 When this shared document is opened, each invitee will see the work that was done by others (supported by MS Word 2016, Word Android, and Word Online). Pressing ALT + Tab to switch between two simultaneously opened Word documents can be disorienting. It certainly isn’t the best way to compare documents. If you don’t want to use the ‘Compare’ feature in the ‘Review’ tab of MS Word, and only want to go through two documents side by side, there’s an option. Open the two documents you wish to view side by side. If you also want the two documents to scroll simultaneously, you can click on the ‘Synchronous Scrolling’ button. Ask an IT manager who needs to prepare daily, weekly, and monthly reports, as to what a mess it can be to maintain basic templates, which you can edit and repurpose into newer reports. No more ‘search’ hassles, because you can keep your trusted and ready-reckoner files pinned to the ‘recently used’ tab. Go to File, and click on Options. Look for an option called ‘When correcting spelling in Outlook’; under this, check the ‘Check grammar with spelling’ box. Check the ‘Show readability statistics’ box. Keyboard shortcuts, such as Ctrl + Alt + V, to access formatting options while pasting content from one section to another. Press ALT, see how shortcut indications pop up at the top of the menu bar, telling you which key you can press to access the associated action quickly. Chances are that it will still take time before you get your personalized AI-powered robot assistant to take away your Office applications work. Till then, trust the kind of productivity hacks as presented in this guide to make work quicker, better, and more fun. Windows 10 has more than made up for the fiasco that Windows 8 proved to be. Microsoft has gone for overkill with Windows 10 and is continuing to roll out patches, add-ons, and upgrades that make the OS more secure, user-friendly, and powerful. If you’ve already been using Windows 10 for some time, you’d understand how it’s been designed to make all settings and configurations accessible even to the beginner user. Why not make use of some of the coolest Windows 10 features, tricks, and best practices to be more productive than ever in 2018? Here’s a guide that will help you do so. Microsoft has been able to marry the Windows 10 OS with the cloud. Users can link their Microsoft accounts and Office 365 accounts with Windows 10, and use the same cloud service credentials to log in. Files and settings, then, are automatically synced as per the users’ cloud environments. The result – consistent user experience across Microsoft platforms. Also, it’s possible to have more than one cloud linked accounts to use a single Windows 10 device, using the Settings app. Of course, local and domain accounts are supported. For small and medium-sized businesses, Mobile Device Management policies can be used to manage users logging in with their Microsoft work accounts. Because of the prominent cloud linkage, businesses can explore quite a few log in mechanisms. They touch friendly and work amazingly well on touch-enabled devices. They load perfectly on different screen sizes and work across resolutions. They are automatically updated, which means you always get the latest version of the software to work with. They come from trusted sources, so you’re in-app data always remains fully secured. These apps consume very less power. These apps are so good that third-party services such as Slack and Trello have made their desktop apps available via the Windows App store. Windows Store for Business is a tremendous functionality for businesses that want to set up customized app stores for business users. Microsoft’s Edge browser is potent enough to take care of all your web browsing needs. The key to making the most of Windows 10 is to use native applications as much as possible. Microsoft Edge is one of these native applications. The browser has stripped all unnecessary code, delivering a super quick, super secure, and super intuitive web browsing experience to users. Microsoft’s voice assistant Cortana also uses the Edge browser as its default web browser. Then, you can install browser add-ons from Windows Store. Edge web notes let you annotate web pages in the browser and save them to OneNote. Ransomware attacks proved to be the biggest troublemakers for businesses throughout 2017. Windows 10 was caught in the middle of the Wanna Cry ransomware attack in 2017. However, the reality is that this OS is inherently secured against malware attacks. For starters, the Controlled Folder Access functionality of Windows Defender Security Center makes sure that unfriendly applications are not able to make any unauthorized changes to folders. Also, default Desktop, Documents, Movies, and Pictures folders are protected by default. You can protect any folder similarly. 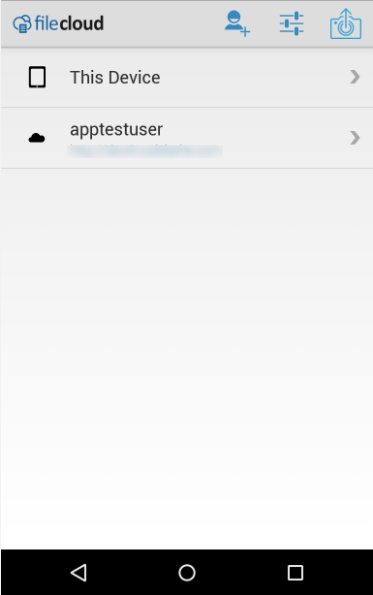 Also, it’s possible to whitelist applications to enable access to folders. Plus, Microsoft releases security patches frequently, which keep your OS secure against the latest cyber threats. This makes Windows 10 a highly rewarding and secure OS experience for business as well as personal users. Microsoft has done a terrific job in terms of integrating mobile phone and Windows 10 OS. Here are some ways in which this integration helps people become more productive. The Phone section in the Settings app lets users push files from phone to PC. Edge browser and Launcher apps also accomplish the same functionality. See and reply to text messages from your PC. Use your phone device to sign in to Windows 10 instead of typing the password. Another super cool feature – Windows 10 lets you lock your computer without pressing Windows + L keys. You can connect your PC to your phone Bluetooth and tweak the settings under the following path. In Control Panel, go to Hardware and Sound > select Devices and Printers, and activate Dynamic Lock in Settings > Account > Sign-in options. 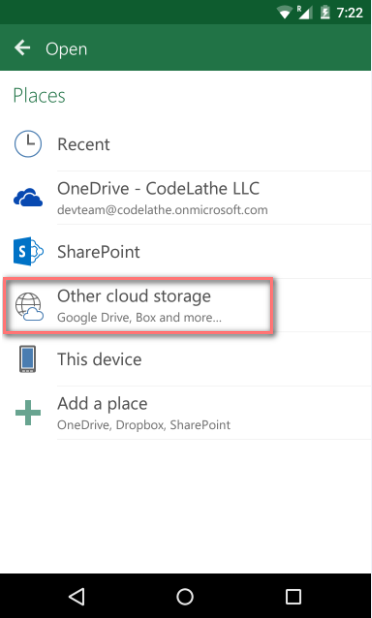 Windows 10 makes it super easy for you to work with your files stored on OneDrive cloud storage. 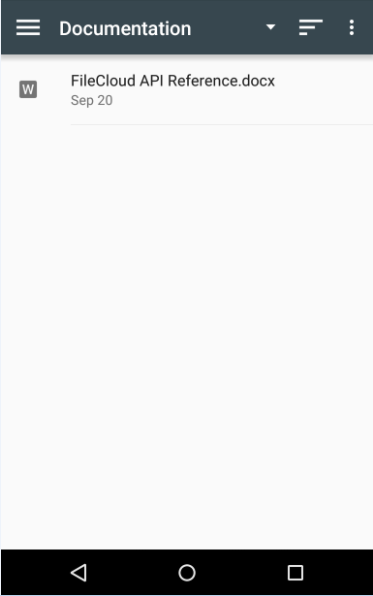 That’s with the OneDrive Files on Demand tool. This tool gives you a desktop folder where you’ll see all your cloud-stored files. The files you see inside are mere placeholders. You can specify as to which one of them you really want to access on a desktop. Apart from what we’ve discussed, there are other useful features that make the Windows 10 experience breezy and enjoyable for everyone. 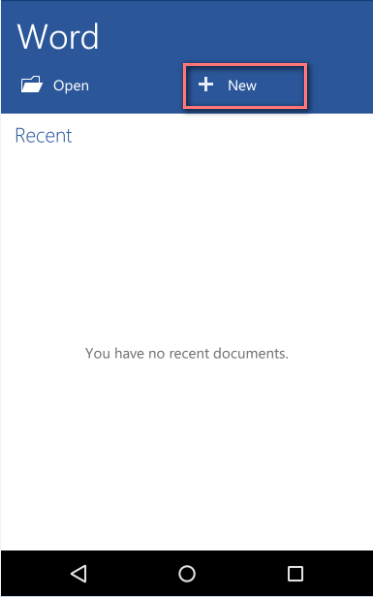 The File Explorer, for instance, offers a Microsoft Office-inspired ribbon on the top, where the most frequently accessed folder options (which were earlier buried in menus) can be found. You can pin important folders and network locations in the Quick Access box on the top left of the File Explorer. Most often used fodders are made available from the Quick Access box based on your usage. The Action Center is a great way to access important notifications and Skype messages, apart from reminders from Cortana. Microsoft has not left any stone unturned in making sure that Windows 10 proves to be a highly enjoyable, productivity-enhancing, and intuitive user experience for all kinds of users – whether personal or professional. We are excited to announce that FileCloud has officially joined the Microsoft Cloud Storage Partner Program. As part of Microsoft’s Cloud Storage Partner Program, FileCloud will enable Office 365 business users to open, edit and save changes to remote Office files stored in FileCloud using a web browser. Importantly, users can co-author and collaborate on documents in real time on Office documents stored in FileCloud from anywhere. Even today, when we claim ubiquitous Cloud adoption, billions of files are on-premise, behind a firewall. In today’s mobile-first world, employees and customers want to access, edit and collaborate on files from any device. Currently, users can’t remotely co-author or edit Microsoft Office files that are behind a firewall, unless the organization moves the files to a cloud storage service such as Dropbox, OneDrive. FileCloud has joined Microsoft Cloud Storage Partner program to integrate with Office 365 to offer a simpler solution. With this integration, users can remotely coauthor and collaborate on Office documents that are even stored behind a firewall. Since its inception, FileCloud continues to break barriers and offers unique customer choices. FileCloud gives Office customers a seamless experience when working with Office documents regardless of how they are accessed or where they are stored. Even when files and workloads are rapidly moving to the cloud, the majority of organizations continue to store significant portions of their data on-premises. FileCloud offers flexible options where customers can pick a storage model (on-premises, the cloud or a hybrid option) that suits their business needs. With this new Office integration, FileCloud brings real-time collaboration and remote co-authoring to any file regardless of where it is stored. There has been a veritable revolution with the arrival of cloud computing. Although most businesses now see the value add from relying in cloud based solutions, many companies need some level of value-selling before they can move to Office 365. While MSPs traditionally have been installing Exchange servers, reselling hardware, and helping to manage those environments, there is a great new opportunity to sell Office 365. Historically, many MSPs have been reselling collaboration services, like Exchange and hosted email, meaning the jump to reselling Office 365 is easy to make. 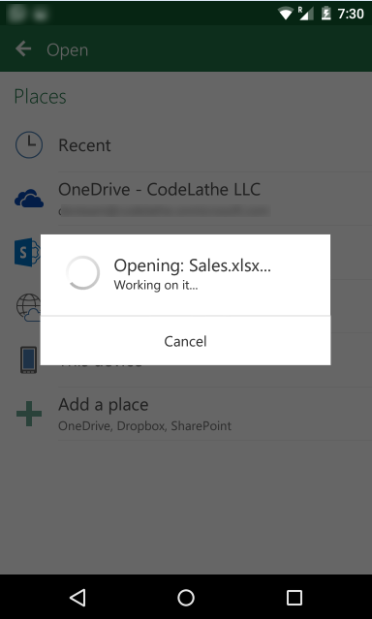 How to do resell Office 365 successfully? Under Microsoft’s CSP program, you will bill and own the relationship and will have full administration access to the customer’s platform. You will get access to a basic support and knowledge base. You will handle customer support and pay for customer migration and tools. There are several advantages with choosing a CSP partner other than Microsoft. Many partners provide support for all issues with a short response time. Many partners also provide migration support for all your clients with no minimum limits for the number of users. In terms of customer support, you can have the partner handle it or do it yourself. The signup processes are also automated, and you can get going in literally 15 minutes with some of these partners. The advantage of working with a partner is you won’t need to commit major capital investments immediately, and your go to market strategy becomes easy to implement. This means you can become profitable easily. Ensure you look closely at the partner’s business model and ensure you understand the spending thresholds, monthly fees, and margins. Spend time thinking about what kind of program would be best for you and then choose the program from the right provider. Would you like to resell under your name with a white label partnership, or do you want to refer clients to the provider while earning a commission in the process? It is very important you tie up with a provider who offers free around the clock support. Apart from knowledge repositories and online communities, you should be able to get reliable support via phone, email, and chat. Tie up with a partner who offers automated services through API integration. Otherwise, you might have to wait many days to provision your Office 365 subscription and suffer a complicated billing process. Most SMB’s require assistance and training to use the features of Office 365. As they use Office 365, they will have a lot of questions about all the new functionality they are seeing. You can position yourself as a training partner, even if it is done for free. Free training can open many opportunities for you down the line. It is often a great idea to sell managed services and support at a fixed rate per user or customer, instead of charging per incident or hour, which is the case for on-premise support. There are two reasons you can offer this – One, you can avoid many disruptions due to proactive, remote monitoring, and two, cloud solutions require much less support than an on-premise solution due to the occurrence of fewer issues and less time to resolve them. Market yourself properly and upsell. Learn to differentiate yourself from other resellers. Choose a target market and tap social media marketing. Identify common client problems and sell better. Prepare yourself to face various types of client questions – situational questions, problem questions, implication questions, and need payoff questions. This is probably the most critical part of your selling process and the activity that decides your success rate at selling to customers. Prepare yourself to face objections raised by the client from various angles. Reach your customers with ease. Focus on other more important areas by having a trusted partner take care of Office. Invest and be ready to face the future. FileCloud is the only EFSS platform for Windows Servers that brings seamless browser-based document editing to on-premise file servers. AUSTIN, TEXAS – March 23, 2017 – Today, CodeLathe launched the integration of Office Online Server with FileCloud, the IT Industry’s one and only Enterprise File Sharing and Sync platform for on-premise Windows Servers. This new integration brings powerful Office document (Word, Excel, PowerPoint) web editing capabilities to on-premise Windows file servers. Microsoft Office Online Server enables organizations to deliver browser-based versions of Word, PowerPoint, Excel and OneNote behind their firewall. 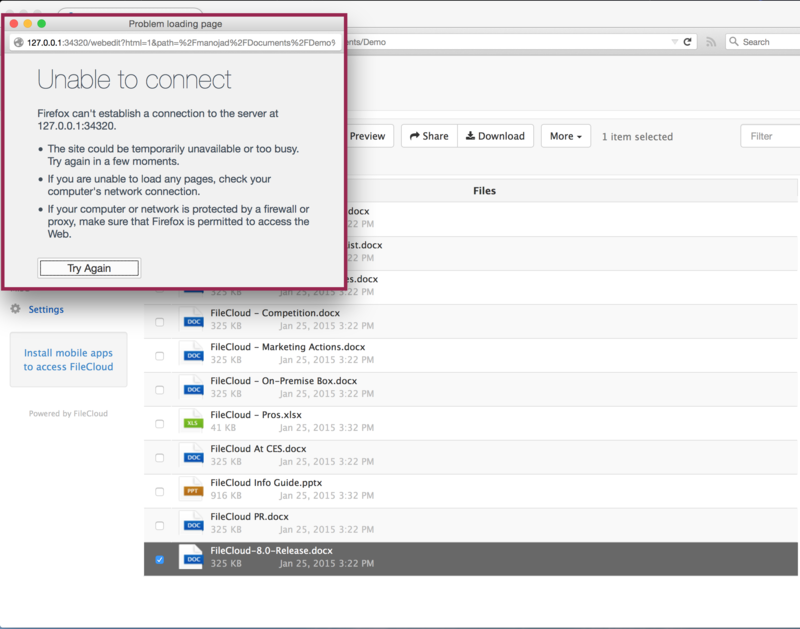 FileCloud expands the capability by allowing users to edit files through a browser, even from outside the firewall. Users can select any file stored in FileCloud, open it via the Office Online Server, edit it, and then save it back to FileCloud without ever leaving the browser. This industry leading integration supports Microsoft Office documents (.docx, .xlsx, .pptx) and offers significant benefits for firms that use file servers as their common file repository. 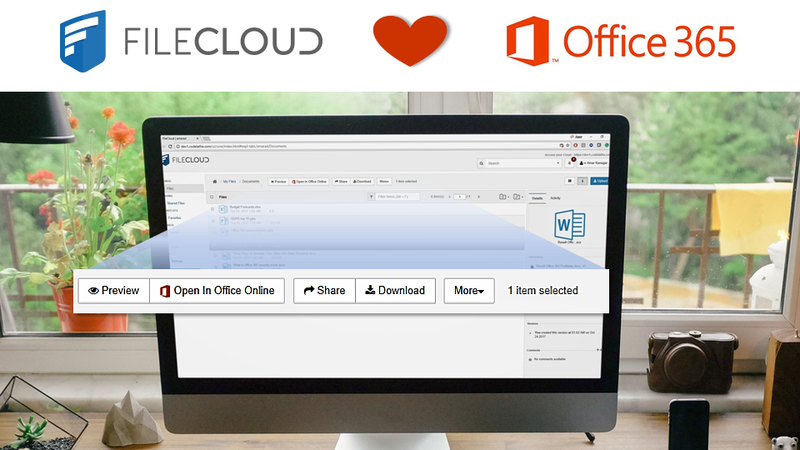 More details on FileCloud and Office Online can be found here: https://www.getfilecloud.com/filecloud-office-integration-office-online-office-add-ons-outlook/. We recently deployed the new browser-based document editing capabilities (offered by FileCloud and MS Office Online Server Integration) on our platform, and we have got a tremendous response from our customers. This new integration allows our customers to access their documents on the road, which makes it so much easier to work flexibly. It definitely makes FileCloud one of the most powerful EFSS in the market – said OfficeBox, a private cloud provider from the Netherlands. According to the survey conducted by Spiceworks, a community of system administrators, more than 87% of on-premise, physical and virtual servers run the windows server operating system. It is a well-known fact that Windows file servers are the primary component in any enterprise file sharing infrastructure. Many organizations use Windows file servers as an organization’s central repository to store and share files among employees, partners, and customers. Using Filecloud, organizations can easily convert their existing Windows file servers to a powerful enterprise file sharing and sync solution that addresses these limitations. FileCloud offers web and mobile access, unlimited file versioning, detailed audit trail, private, as well as temporary and password protected shares. FileCloud also adheres to the existing file access controls (ACLs) and doesn’t require VPN access. FileCloud is the first Enterprise File Sharing solution to bring browser-based document editing to on-premise file servers. 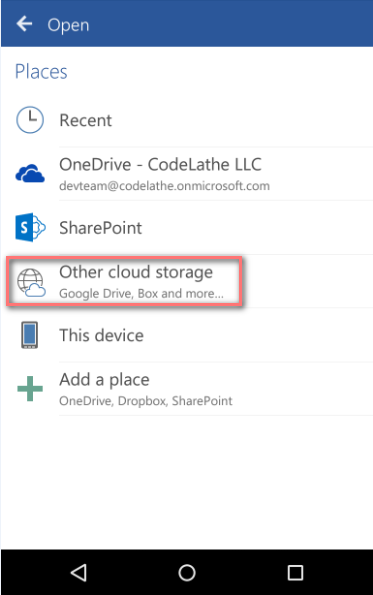 FileCloud helps organizations to extract more value from their on-premise file storage infrastructure by bringing powerful enterprise file sharing features to their windows file servers – said Venkat Ramasamy, COO of CodeLathe. FileCloud is the fastest growing enterprise file share, sync, and mobile access solution. FileCloud is used by thousands of organizations around the world including Fortune 500 companies, governments, educational institutions, non-profit organizations, and managed service providers. FileCloud can either be self-hosted or subscribed to as a SaaS service, giving customers the flexibility to pick a cloud deployment model that is perfect for them. FileCloud is widely recognized for delivering 5x more value than the competition – in addition to file sharing and sync, the FileCloud base product includes endpoint backup, data leak prevention (DLP), unparalleled customization options and HIPAA compliant auditing. For more information or to download FileCloud, please visit www.getfilecloud.com. 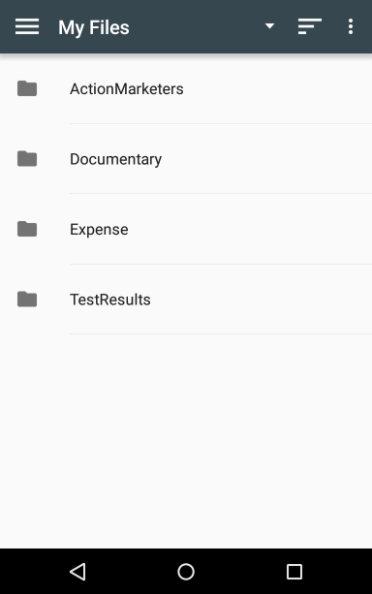 How to open/edit/save files stored in FileCloud using Microsoft Excel App (Android)? 5.Login to your FileCloud Server account. Users without an Office 365 subscription will have view-only access to FileCloud contents. 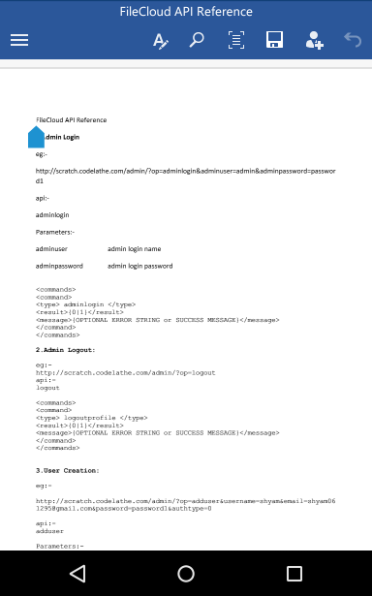 How to setup FileCloud Account? 1.Download and Install FileCloud App from Google Play Store. 2.Tap on first icon at the top of the app. 3.Enter the credentials. Tap on Save. 4.Tap on the account and login. 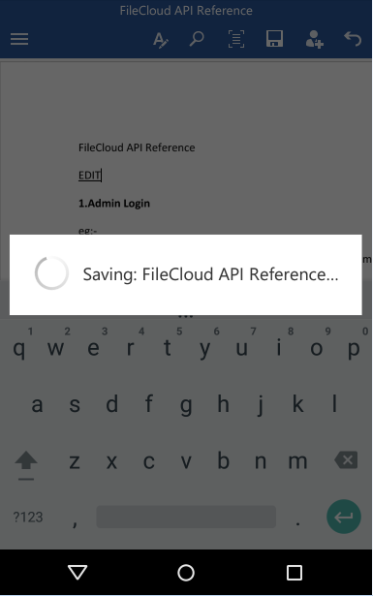 How to access FileCloud from Office on Android? 1.Download the Office apps from Google Play Store. 2.After successful installation, open the app. 5.After successfully opening your FileCloud account, you will see your contents saved in it. Once you have accessed FileCloud from MS Office Excel app, you can now easily open, edit and save files to your FileCloud Account. How to Open Files From FileCloud? 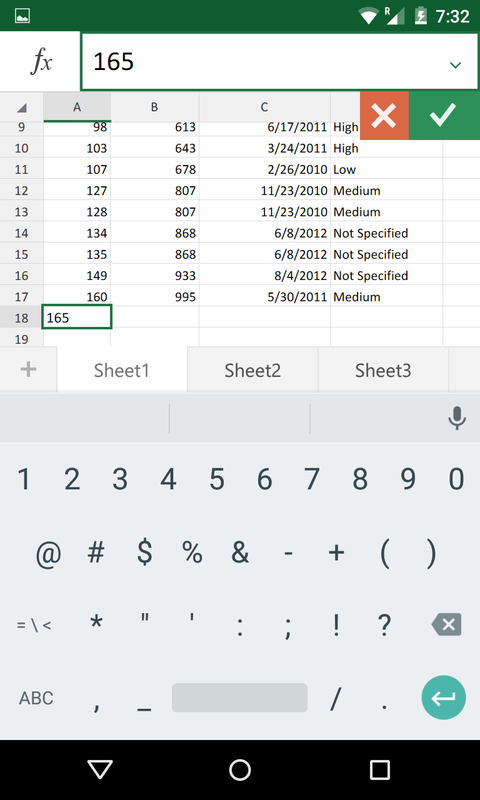 1.Open MS Office Excel app, Tap on Open. 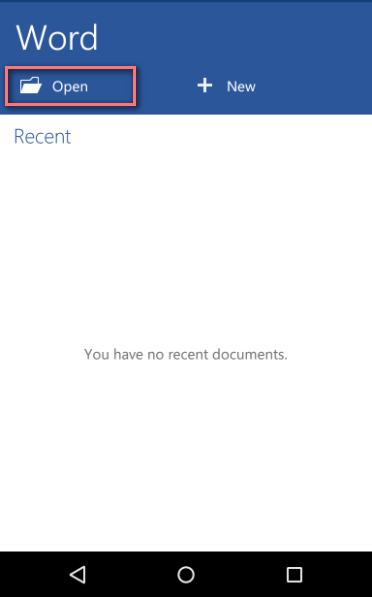 3.Open your FileCloud account, Navigate through files and folder. 4.Tap on the file you want to open, and it’s Done! How to Edit Files From FileCloud? 1.Open the file you want to edit, refer the procedure mentioned above. 2.Edit, the contents. Click on save. 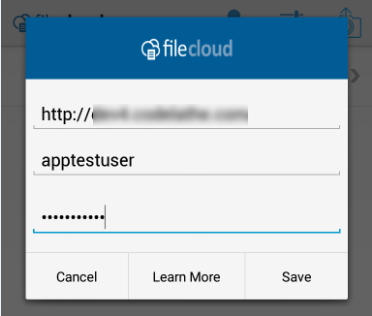 3.A new version of your file is created in your FileCloud account. In order to edit and save files back to your FileCloud account, it is necessary you are a paid Office 365 subscriber. For Non-subscribers, you will be able to only save files locally or to OneDrive. How to create a new file and save it to FileCloud Account? 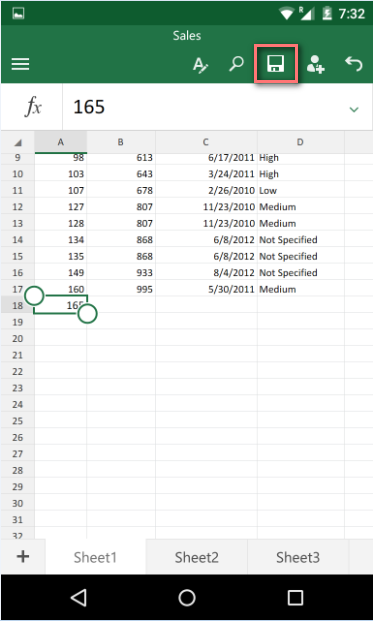 1.Open MS Office Excel app, Click on New. 2.Select the type of Document you want to create. 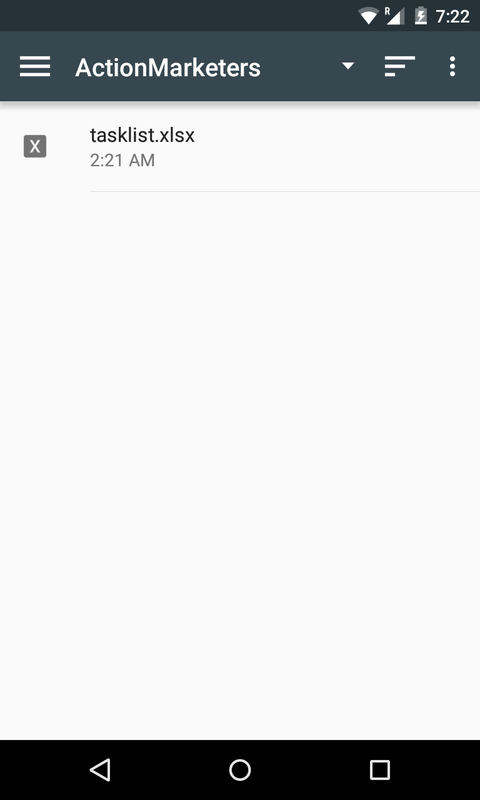 3.Tap on the Save icon in the upper bar. 5.Open your FileCloud account, choose a location where you want to save the file. 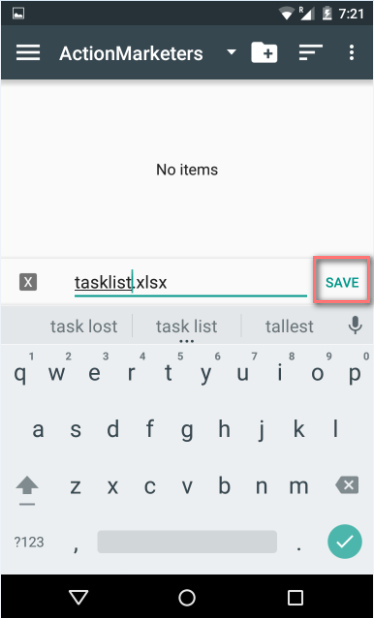 6.Rename the document if needed, then tap on Save. 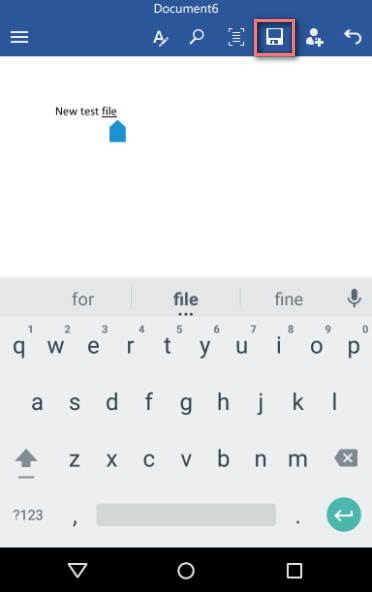 How to open/edit/save files stored in FileCloud using Microsoft Word App (Android)? Once you have accessed FileCloud from MS Office Word app, you can now easily open, edit and save files to your FileCloud Account. 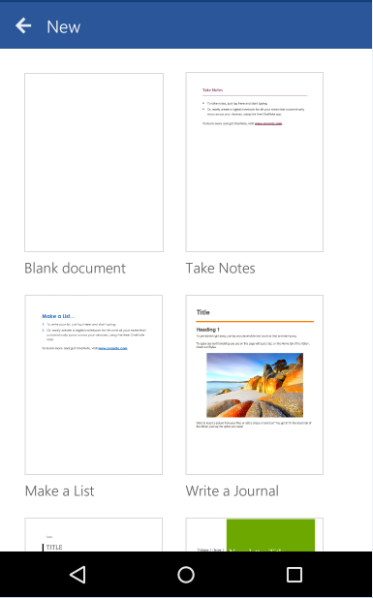 1.Open MS Office Word app, Tap on Open. 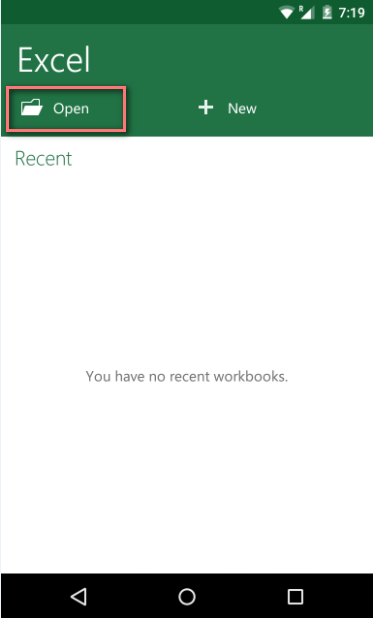 1.Open MS Office Word app, Click on New. Alternative to Seafile – Why FileCloud is better for Business File Sharing? 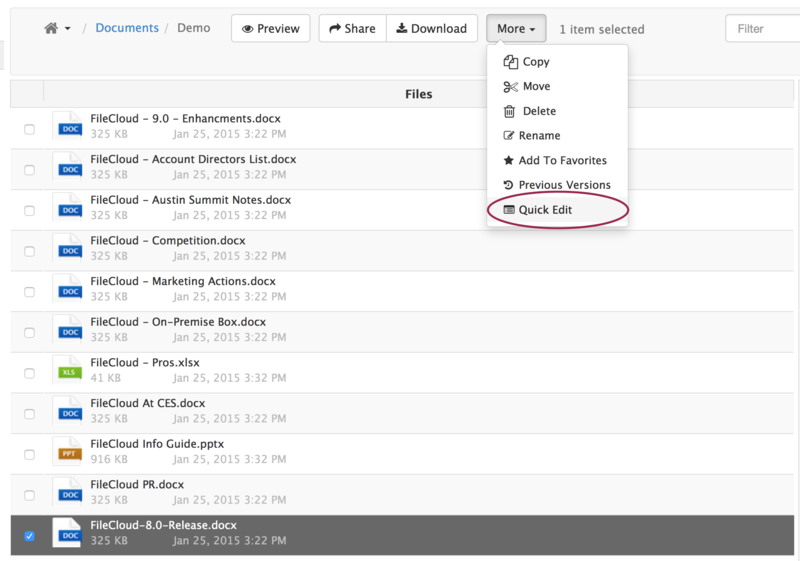 FileCloud competes with Seafile for business in the Enterprise File Sync and Share space(EFSS). Before we get into the details, I believe an ideal EFSS system should work across all the popular desktop OSes (Windows, Mac and Linux) and offer native mobile applications for iOS, Android, Blackberry and Windows Phone. In addition, the system should offer all the basics expected out of EFSS: Unlimited File Versioning, Remote Wipe, Audit Logs, Desktop Sync Client, Desktop Map Drive and User Management. Customization & Branding – FileCloud can be customized extensively to reflect their brand. Some of the customizations include Logos, Labels, Email Templates, UI Messages and Terms Of service. However, Accellion’s kiteworks customization is very limited to header images displayed on the login and registration pages. Embedded File Upload Website Form –The Embedded File Upload Website Form enables users to embed a small FileCloud interface onto any website, blog, social networking service, intranet, or any public URL that supports HTML embed code. Using the Embedded File Upload Website Form, you can easily allow file uploads to a specific folder within your account. This feature is similar to File Drop Box that allows your customers or associates to send any type of file without requiring them to log in or to create an account. Two-Factor Authentication – FileCloud’s Two-Factor Authentication adds an extra layer of security by providing unambiguous identification of users and prevents unauthorized user logins even if passwords are leaked. 2FA policies can be set at a global level or at an individual user level. File & Folder Locking – Simplify collaboration and work on files together with colleagues by marking a file or folder as locked. Locked files or folders prevent other users from uploading changes when you are in midst of changes. This prevents later conflicts and merges. Its a no-brainer. FileCloud hands down beats Seafile in feature set and value. 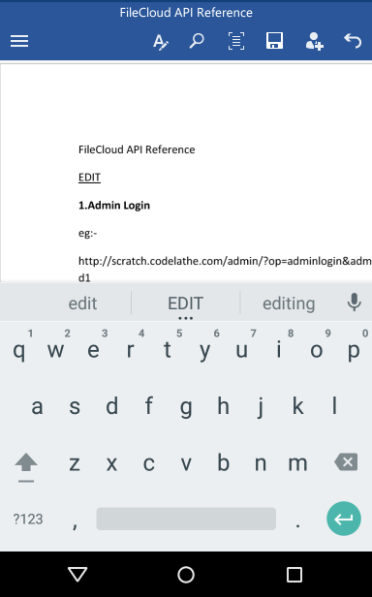 FileCloud Quick Edit lets you edit files directly on FileCloud using the native apps installed on your computer. 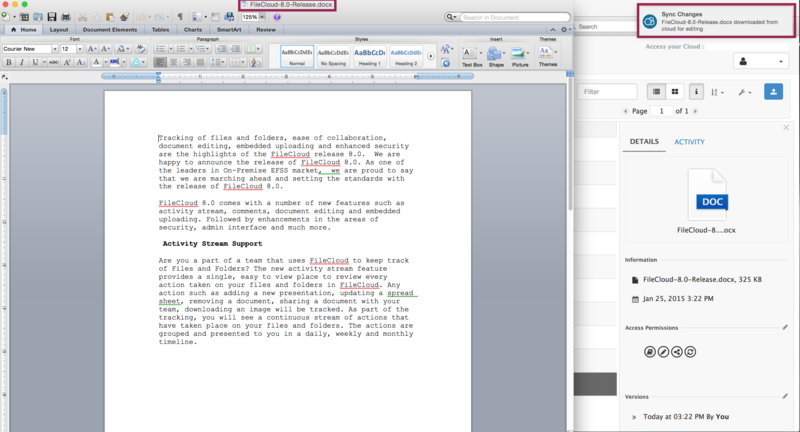 If you can edit documents on your desktop, you can edit it using Quick Edit. We have removed the cumbersome process of download, edit, and upload. Currently, FileCloud’s Quick Edit feature supports edits of files such as Microsoft® Word, Excel®, Publisher®, Project® and PowerPoint® — right from your Desktop. It’s as simple as selecting a document to edit from FileCloud Web UI, edit the document using Microsoft Office, save and let FileCloud take care of other uninteresting details in the background such as uploading the new version to FileCloud, sync, send notifications, share updates etc. What do you need for FileCloud Quick Edit? 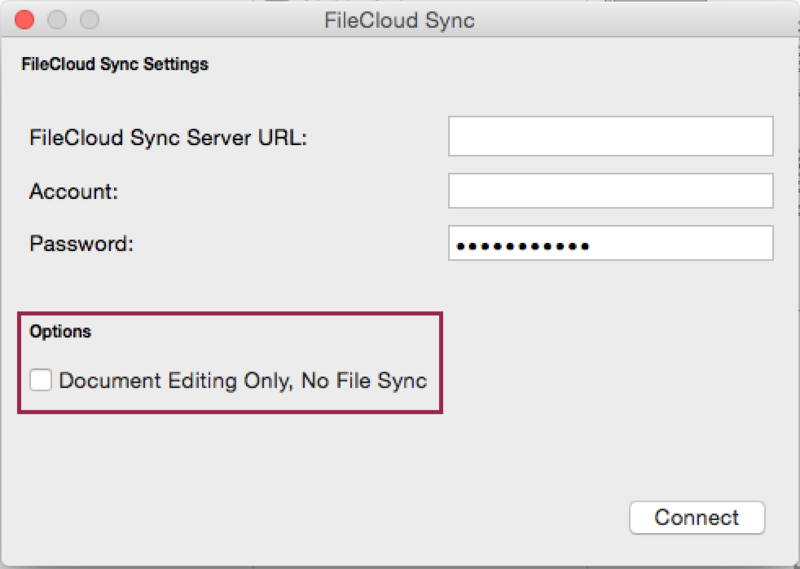 FileCloud Sync – The Quick Edit feature uses FileCloud Sync in the background to upload the new version of the document back to FileCloud. Document Editor – As you will be editing documents using a native editor, make sure you have editors such as Microsoft Office, Project and Publisher installed. How to use FileCloud Quick Edit? Step 1: Navigate and find the document. 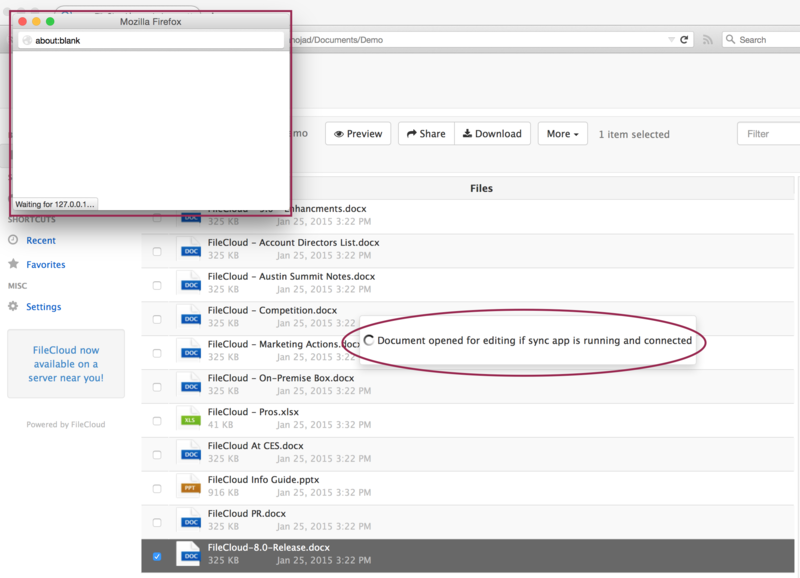 Just navigate through your files on FileCloud and pick the document to edit. Just select and pick Quick Edit from the Actions list. Step 2: Now, the system will try to open the selected document using Microsoft Office. In the below screenshot, you have 2 highlighted portions. One is the alert message that the system is trying to open the file and another browser window pop-up that will provide Success/Failed messages. Success: Awesome! You have FileCloud Sync App responding and everything is good to go. Error: If there are network issues or if FileCloud Sync is not running, you will get the message as displayed below. Just start your FileCloud Sync and re-try. 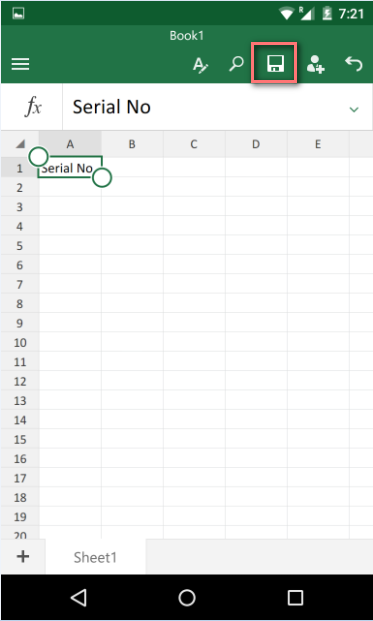 Step 4: When Microsoft Office opens the file, you will see something similar to the below screenshot. 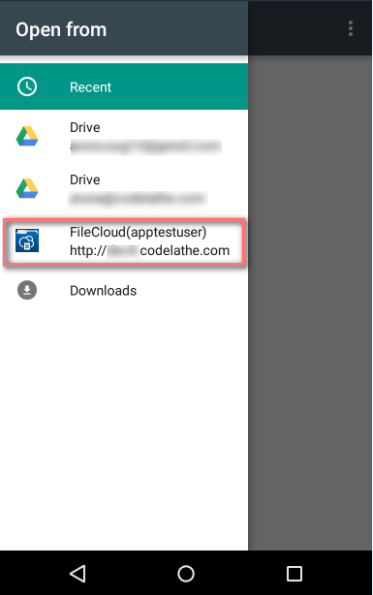 The highlighted portion in the image below shows we have opened the correct document that was selected from the FileCloud Web UI and FileCloud Sync is ready in the background to perform the tasks needed. Step 5: Edit the document as any other Microsoft Office document and click Save. 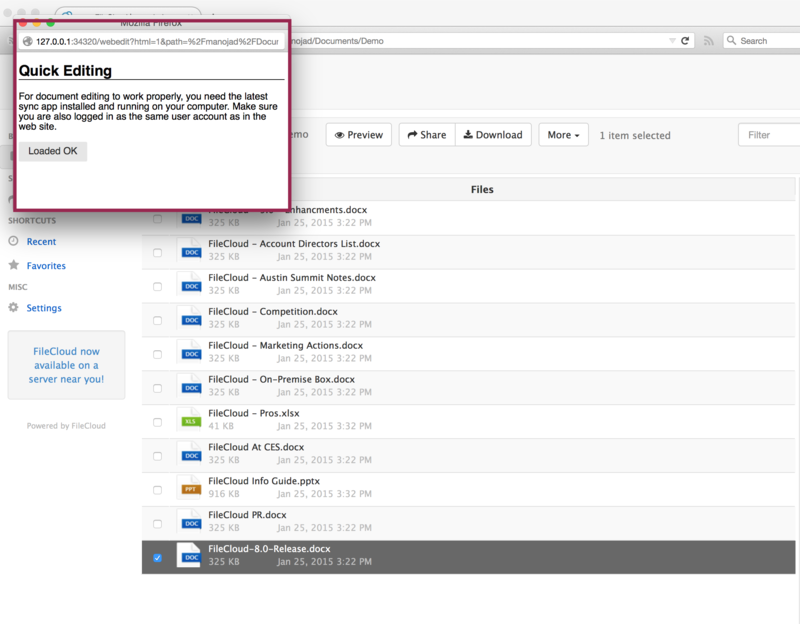 After you save, the FileCloud Sync will upload the new version of your document to the FileCloud Server. Upon successful upload of the new version, you will get a confirmation as highlighted below on the right-top corner. 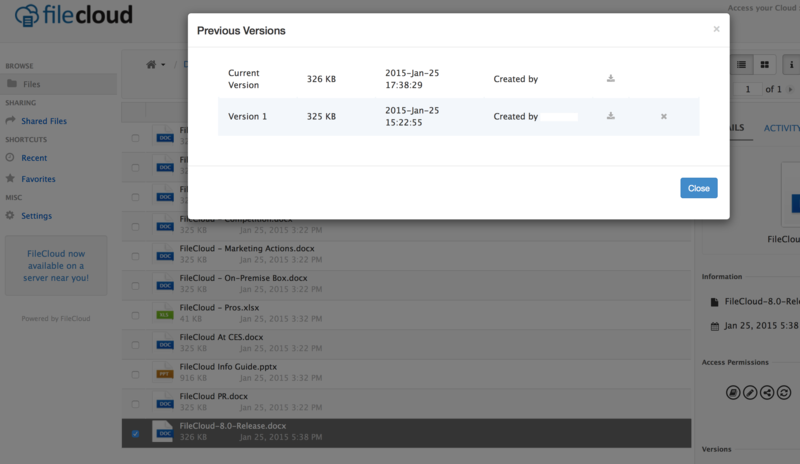 Step 6: When you go back to FileCloud’s Web UI, you will see the latest revision. Click on the Previous Revisions to confirm and revert back as needed. Voila! Your FileCloud Quick Edit is setup correctly and is working. How to restrict FileCloud Sync just for Quick Edit? 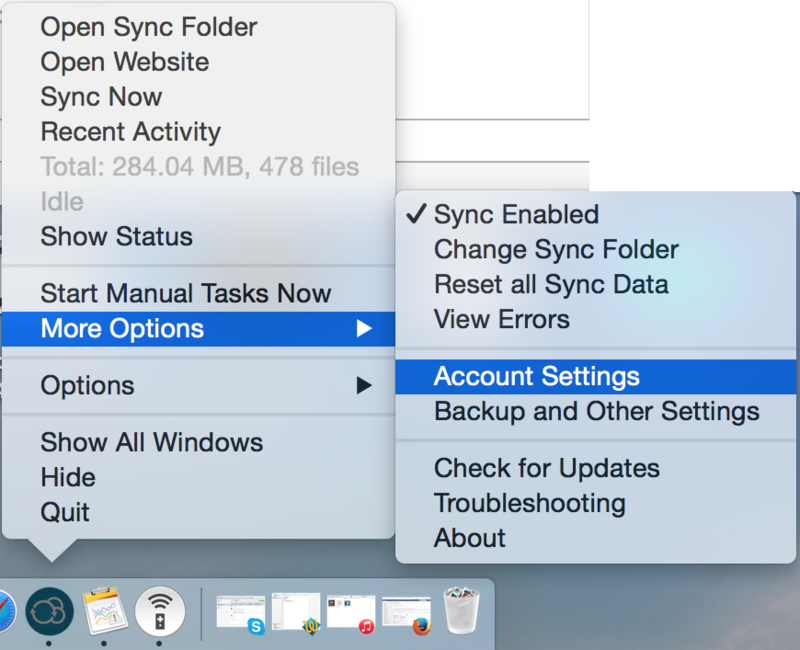 By default, FileCloud Sync is used for syncing all your files on FileCloud to your Desktop. However, if you decide to restrict FileCloud Sync for Quick Edit feature, you can easily do it by altering your account settings. Step 1: Open your FileCloud Sync’s account settings. Step 2: In the window that pops-up, select the check-box highlighted below.